Well done to Thomas (left) who was room threes first receiver of ‘the weeks hardest worker’ award. He showed in the first week of school that he is committed to working hard. Great work! 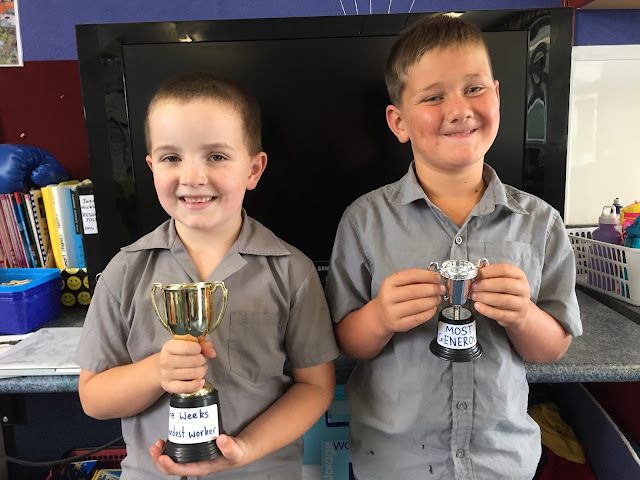 The ‘Most Generous’ award goes to Korben (right) who showed his kind heart when helping a friend. Awesome stuff!